Santa Caterina or Isabel II Market was the first covered market in Barcelona. It was built from 1844 to 1848, the name coming from the original convent over whose ruins it was raised as it was customary then. Recently, the old building has been remodeled (1997-2005) by architects Enric Miralles and Benedetta Tagliabue (EMTB) those who designed the Scottish Parliament. 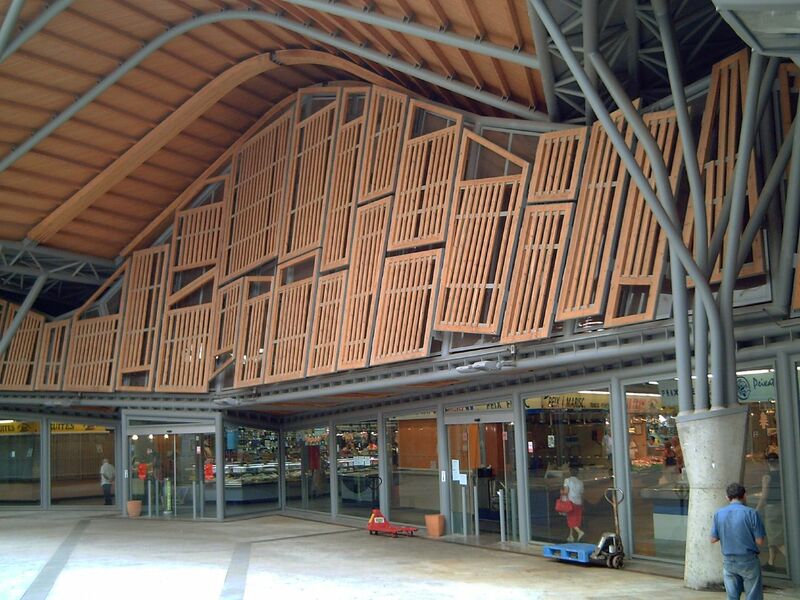 Here is Santa Caterina Market as seen from the other side, notice the wooden structure that covers the ceiling and the metal beams that climb up like branches. 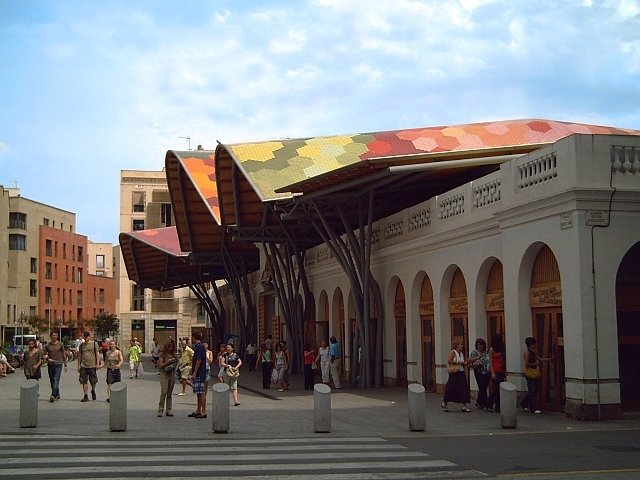 The colorful roof (325.000 tiles) emulating vegetable and fruit stalls has become one of Barcelona's landmarks, although it can only be appreciated fully in official pictures or if you tip someone in the neighbouring buildings. 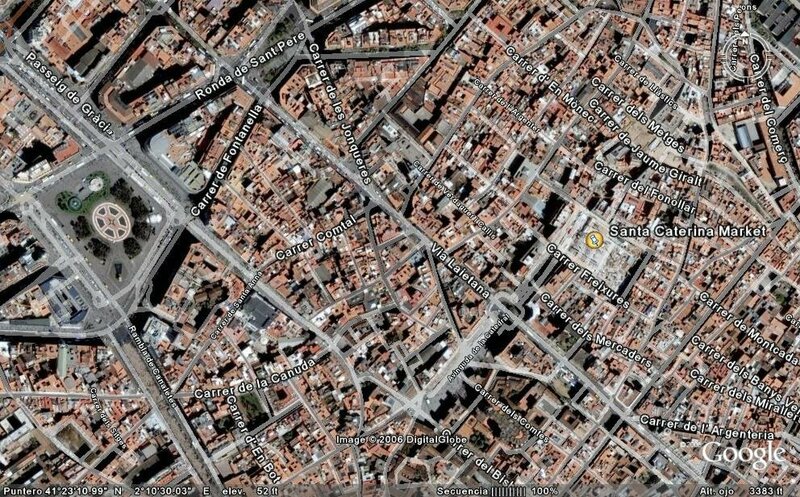 If you want to know more about Barcelona markets check The Market Route. Your photos are very persuasive publicity for Barcelona. I must come there! The design of the roof is as spectacular as the tiles, I think! Thanks for all the bkgrd info. Barcelona is truly beautiful, great job done on the renovation of the building. I'm a market junkie! Would love to shop here. I like the way the roof supports look like trees. Good shot, Carlos! I like the multicoloured alveols on the roof. Are there surprising coloured shops inside ?